league compared to other firms I've used in the past. I...would just like to thank you...for all your work. I will certainly recommend MOV8 to anyone I know who is thinking of selling their property. Had a great service from start to finish. Overall a very smooth experience from start to finish. Excellent support and advice from the sales team and then very efficient and friendly, courteous service from the legal team, where Paula was great to work with. Once again, delighted with the level of service produced by MOV8's wonderful team. They were always on hand to answer my queries, were polite, knowledgeable and professional. Would use them again in a heartbeat. Greta, Sarah, Samirah, Blair and the team were superb from our initial enquiry right through to the sale. Each stage was completed on or ahead of time and handled in a professional manner. The team didn't speak in jargon and were brilliant with scheduling our viewings and keeping us in the loop at each stage of the process. Could not recommend MOV8 highly enough if you're thinking of selling your property in Edinburgh. Having never had to sell a property before I was very nervous, however, I had nothing to worry about in using MOV8 who have provided an excellent and efficient service. Greta, our Negotiator, was great in keeping us informed as to viewings, offers, etc. I would highly recommend MOV8 to anyone looking to sell their home. We used MOV8 recently to sell our home and the process couldn't have been quicker or easier. Evie, our negotiator was great at keeping us up to date on progress and viewings and there was only 2 weeks between instructing MOV8 and out house being under offer. Definitely recommend! This is the second time we have used MOV8, and have found the team helpful, knowledgeable and proactive in both our home sales. Thank you again for your help. MOV8 helped to sell our house within 2 weeks. I particularly liked their sales portal which tracked viewings and offers when they came in - I always felt that I knew what was going on. Daniel Ferguson is a real asset to the company and I would definitely recommend MOV8 to anyone selling their house. I contacted MOV8 to sell my property. Within a weekend I had received written information outlining all charges. I was given a named person, Steph, to guide me through the process. She provided excellent and honest advice from start, her knowledge was apparent as the information she gave was exactly right. I am very happy with the outcome of my selling experience. 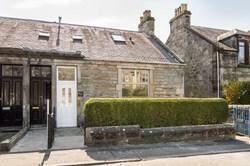 The staff were friendly and helpful and we were on the market within a week of agreeing to their terms. We chose MOV8 for a cost effective sale and have been very happy with the service and speed of the sale achieved. We have just sold our property using the services of MOV8. The whole experience was a good one from the initial visit to the sale of the property. Greta and her colleagues are a credit to the company, nothing was too much trouble for them. Thank you again. We have recently sold my parents house with MOV8, I was careful; to check reviews before contacting the company and, as the reviews have already said the service is efficient, friendly and prompt. All the steps to getting the property on the market were done quickly and easily. would definitely use them again for their professional efficient service. MOV8 helped us to sell our house very quickly. We were very happy with all aspects of their services. The photographs and schedule were very good and everything was done very quickly. All the staff that we spoke to on the phone were very friendly and helpful. We would definitely recommend them to anyone selling their house. We recently enlisted the team at MOV8 Real Estate to market our property in Edinburgh. From the initial contact to request assistance in the free upfront valuation through to receiving and accepting an offer, we have been nothing but impressed. The helpfulness of Scott in advising us of strategy re asking price and the professionalism of Rachel and the rest of the team during marketing was 2nd to none. I would thoroughly recommend MOV8 to anyone considering selling a property. Everyone at MOV8 is very helpful & friendly. Very prompt with replies when I called or emailed them with queries. They know their business very well and helped me sell my house very quickly! Fantastic customer service from the first enquiry phone call through to my sale concluding – quick responses to questions, friendly staff and an efficient viewing scheduling process. In addition almost £1200 cheaper than a local competitor. Thanks MOV8! I couldn't have asked for a better experience with MOV8. Everyone I dealt with was extremely pleasant and helpful. I was kept informed of what was happening throughout the process and if I couldn't speak to my allocated agent for whatever reason, someone else was always ready to step in and help. Professional and efficient. Kept me up to speed quickly on how any matter in connection with the sale of the property. I was very pleased with the service I received from MOV8. Communication was excellent, Daniel and his team kept me fully informed with the progress of the marketing of my property, viewings and the sale, all which was undertaken within just three weeks. I received a great service from start to finish and would definitely recommend Daniel and MOV8 to others. From the beginning of the enquiry, MOV8 were very professional and not pushy. Everything from telephone calls, emails, survey and photos went smoothly. 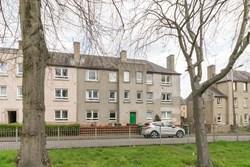 We put our flat up for sale in December and only expected a few viewings during the festive period. However, once they sent it out to their database we had 30 viewings in 5 weeks and sold within 7 weeks. Great Value for money and all the team at MOV8 were very attentive, nothing was too much. Our experience was great and we would recommend MOV8 to everyone. I will certainly be talking to everyone about them. This having been my first property sale, I would just like to say that I have found the whole experience so far very professional and straight forward, from the first point of contact. Greta has been my main person of contact and I would like to say that she has kept me well informed of the progression of the sale and offered advice when required. I would certainly recommend mov8 and will use yourselves on future sales of properties I own. All agents strived to do their best and were very attentive and prompt with any response! I have sold 2 properties with MOV8 on both occasions have been a success selling quickly and efficiently. Would not hesitate in recommending them to potential home sellers! The team at Mov8 were all brilliant from initial contact, through valuation and supporting getting the property on to the market. They were all very professional, helpful and you really got a sense that they took a real interest in helping you get the property sold. We are now under offer but if we ever needed to sell again we would definitely use Mov8. Great service from start to finish, as expected, Mov8 sold my house again in just over 4 weeks! Amazing stuff. Always on the ball with viewings and offer/interest. Would recommend the company to everyone. My property was placed on the market fast. All the staff were friendly and helpful. I recently instructed MOV8 to act on my behalf for the sale of my property. I have been extremely impressed with their service and would not hesitate to recommend them. Each person that I have dealt with at MOV8 have been professional, polite, friendly and trustworthy and I've felt at each stage of the process that they have my only best interests at heart. I particularly appreciated the transparency of their valuation and quote - this was really refreshing knowing that there are no hidden costs. The process has been very speedy and at no point have I had to chase or enquire about things. The quality of photos and the schedule were excellent, their advice at valuation was greatly appreciated. The process has been incredibly smooth and easy - just what you need when going through a stressful move! Would not hesitate to appoint them again in the future. I went with MOV8...based on a friend's experience and I was more than happy with the service I received. All costs were explained upfront...and their legal team was incredibly good at keeping me informed through each step of the process. I found that the communication...had a very friendly, personable quality, you really do feel like they are looking out for you, and it's not all stuffy legal jargon. I'd definitely recommend Mov8 and would use them again without hesitation. The Service provided by MOV8 sales team was excellent. Prompt replies and call back service was wonderful. My experience with MOV8 was very positive, they kept me up to date at each stage of the selling process and were always quick to respond to any queries I had. They got our property on the market very fast and we got a quick sale. I've had nothing but a positive experience with Mov8. They are enthusiastic, polite and up front. Their fees are a lot more reasonable than some others. I had an offer on my flat within 12 days. I would recommend Mov8 to anyone. It's made a stressful time much easier. I am happy with the service provided and with whole process. Everything was very clear from the start and therefore easy. Jenna was really friendly and always there for me on the phone or email. I would be very happy to recommend MOV8 to friends. We just wanted to say thanks to Kevin for the excellent service we received from him and the MOV8 team. I find it hard to believe that we sold our house so quickly, within 4 days of it going 'live', we had received an offer. From the first contact with Sarah Munro, who was so helpful over the phone, then Joan McAuley came to value our house and answered all my questions, to the photographer who took superb photographs which looked wonderful on the website, even on a grey rainy day. Kevin has been grear at keeping us up to date with the progress and negotiating the best offer for us, despite the fact that it was sometimes difficult to reach me over the phone! So once again, many thanks for your service, we won't hesitate to recommend MOV8 to anyone considering a house move. It has been 20 years since my wife and I have had to engage the services of an estate agent and needless to say a lot has changed in the way one buys and sell property. My first point of contact was a meeting with a valuer who arranged to come to our house and give us advice as to what our home would be worth. The lady who consequently arrived was very helpful, not only in giving us a valuation but also took the time to explain how things had changed over the years and explained what order we should do things in. This gave us a lot of confidence in what we were about to embark on and, in turn, convinced me that I had chosen the best company to market our property. MOV8 walked us effortlessly through this process and we were able to secure an offer on our property within 24 hrs of it appearing on their website. As far as I am concerned we made a very good choice when we chose MOV8. The staff have gone out of their way to help us and keep us calm in what can be a very stressful time. So full marks to MOV8 and a special thank you to Joan and Lauren for all their advice and support. Thanks once again; Sarah and the guys at MOV8 have been brilliant! We will be selling another property in the not too distant future and we will certainly come back to MOV8 for this! Yet another property sold in a quick period of time, with a fast and efficient service! Can I take this opportunity to say thank you to Lauren for the excellent service provided to me since she became the sales negotiator of my property last month. I have found Lauren to be friendly and approachable, and she has proved to be very efficient and professional at all times. She is a credit to MOV8 as a member of their Sales Team. Thank you for your assistance which led to the sale of my property yesterday. We are very pleased with the service received to date. MOV8 was very quick at organising the photo shoot, home report and all necessary steps to market the property. Also, everyone has commented on the quality of the pictures used in the brochure/websites. Thanks to all at MOV8 for this very swift sale. Just a quick note to say a big 'thank you' for the great service I received from Kevin and MOV8. My property was sold within a week, which exceeded all my expectations. I would have no hesitation in recommending MOV8 to any would-be seller. First of all, I would like to thank Lauren and everyone from MOV8 who have helped me to sell my property. Not only have you helped me with decisions I've not had to make for a number of years, but you have all been so down to earth, understood my stresses & made everything fun, which is the way I like to work. I can't believe how quickly my house sold and as far as I'm concerned, to a perfect young couple, who will enjoy the house as much as I have. So Lauren, not only have you and MOV8 sold my home for more than I expected, you have made me happy by bringing forward a lovely couple to take over from where I have left off. I will without hesitation recommend MOV8 to anyone I know selling their property and when I find the new property I wish to make my home, I hope that you can help me get it. Thank you again and keep doing what you are doing, because it certainly works! On the completion of our sale, we would like to thank Sarah for all the professionalism with which she treated us. MOV8 should treasure her! Sarah answered our many questions along the way and was an invaluable link with McVey and Murricane. May we wish Sarah every success with her career in the future! On behalf of my mother and father I would like to thank Sarah and her team for an excellent job in marketing and selling their property. It has been a pleasure doing business with Sarah and speaking with her on the phone. I just wanted to say - thank you so much for the bottle of fizz, much appreciated! And thanks so much to Thomas and the team for all their hard work - they have provided me with excellent service and I'll certainly be recommending MOV8 to anyone looking to sell in Edinburgh. I just wanted to thank Sarah for doing such a great job in helping me to sell my flat so quickly! I would like to thank Thomas for all his help and advice throughout the selling negotiation of our property. His quick responses, expertise and support has been very much appreciated. I will certainly be using MOV8 again if we ever have to sell a property in the future. I found Louisa to be a delight to deal with and I really felt like the sale of my property was of a high priority. In reality Louisa is probably juggling with multiple properties, but this doesn’t come across during conversations or emails - You are made to feel important and Louisa is very personable. After investing a lot of time, energy and money, I was finding the sale of the house to be more stressful than I thought it would be. Louisa was there at every step, showed great patience with my daft questions and guided me helpfully through the process and I thank her for it. I would like to express my gratitude to MOV8 and it's staff for the the thoroughly professional manner in which they sold my Father's house. What started out as a very stressful situation for me was made so much easier by the manner in which the sale was handled from my initial contact right through to conclusion. I was kept constantly informed of the progress being made and our regular wee chats were very informative. Thanks again to Kevin. I'll certainly recommend MOV8 to any friends or family, should the occasion arise. Thank you to all at MOV8 for helping us sell our property. We were very pleased with the service we received. 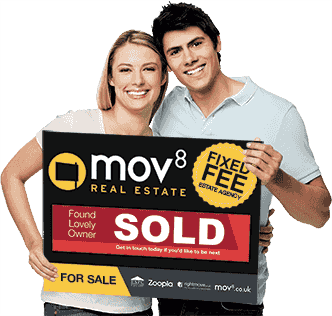 We would recommend MOV8 to anyone looking to sell their property. We were lucky to sell in under a week! I would like to say I have had the best care and attention from MOV8. From the first phone call with my enquiry, to actually getting an offer has been first class. Congratulations to all the staff for doing a great job! We would like to say how happy we have been with the service provided by Kevin Conway in dealing with the marketing of our property. Kevin has been a pleasure to know and work with over the past weeks, and given this we would certainly recommend MOV8 Real Estate to anyone. I'll take this opportunity to thank Thomas for all his help during the sale of my property. During what could have been a stressful process for me, he has proved to be friendly and polite but at all times professional, as well as the provider of some very sound advice. MOV8 was recommended to me by a friend who was impressed with the fixed price and professionalism of staff. I can fully support these sentiments from the initial visit and free valuation by Alan Hamilton, to marketing the property and the continual contact from Louisa and Susan in particular, and the other polite staff who answered my calls. The property was advertised within ten days from giving MOV8 the go ahead and sold in one week! Surely selling property can't be this easy and stress free! I just wanted to say that my husband and I have been hugely impressed by Steph's efforts in helping us sell our property. She responded quickly and called me as soon as there was news on anything. All in all I am very impressed so thank you! I am very grateful, and impressed, with the efficient and professional manner with which the entire marketing process has been carried out by MOV8 and its' colleagues. Hopefully, I will be in touch with you again very soon as a prospective purchaser this time! I appreciate your efforts regarding the sale of my property at 4 Stenhouse Terrace this week, cannot do much better than a sale 2 days after a first viewing. Thanks again for your dealings in this , this must be some kind of record, I won't have any hesitation in recommending MOV8 to anyone who is contemplating selling a property after my experience with your company! Susan, I would like to take this opportunity to thank you for all your hard work in helping me purchase my new home. As you know I am getting older and find situations like this fairly difficult especially when technology is involved. You were so patient and put me at ease which I am so thankful for, you made a hard situation fairly easy and you are the credit to the MOV8 team. We can only say; MOV8 by name MOV8 by nature based on the short time our property was on the market. The support package was excellent, good quality sales brochure and professional communications from the people behind the scenes. No hard sell, and very reasonable rates for an almost all inclusive sales. marketing, and conveyancing, hard to beat! Would we recommend them? Without a doubt, in fact we already have to our friends, family and work colleagues. Well done MOV8, your business strategy certainly pays dividends without undue pressure and set expenditure. Thomas, we are delighted with the service we have received. Everyone, including yourself, was most helpful. We would have no hesitation recommending MOV8 to other sellers! I would like to say what a pleasant experience it has been dealing with all members of Mov8 staff in this matter, with e-mails replied to promptly, courteously and in a remarkably grammatical fashion. Well done! I have been extremely happy with the service I received from Philip Cannon and the team at MOV8. Philip and his colleagues informed me of the necessary processes, next steps and how the sale was proceeding. From my first contact with MOV8 everything has gone smoothly, the photos and schedule were great and I was kept up-to-date. I very much appreciated their role in arranging viewings. I would certainly recommend MOV8 to friends and family! I would like to take this opportunity, on behalf of myself, just to thank you for all the work you have done to get my flat sold so quickly and I look forward to doing business again in the future with Mov8. I'm overwhelmed with the price you managed to secure for us! I found the whole experience with MOV8 a pleasure, they made it so easy selling my property. My negotiator, Susan Lamb, kept in regular contact throughout and always called back as promised and has answered all my queries along the way. I would definitely recommend this company to family or friends in future! Thomas, many thanks for your assistance so far. I am very happy with the offer I have accepted and the quickness of the sale. I also appreciate the help of Alan Hamilton, Greta and the rest of the team. I am looking forward to the speedy conclusion of the missives and I have already recommended MOV8's services to a neighbour! Just a short note to say thank you to Stephanie for her hard work in managing the offers/negotiating process. The sale of this property indeed moved at pace and all in just under a week. I particularly appreciated that she kept me informed on the progress with offers and always phoned or returned calls when she said she would - which is very important to me, and I’m sure other clients - and always in a professional, but also friendly manner. Please pass on my thanks to the rest of the MOV8 team who played a part in the sale of my property! I just wanted to drop a note to say how happy I am, firstly, that our property has sold and, secondly, how our negotiator Philip handled the sale. I am very impatient and not being in control does not sit well with me. Philip caught on to that very quickly. He realised that I like to be kept informed of any updates and even if there was nothing to tell me, and he would let me know that there was nothing to tell me - I was happy with that. Philip remained professional and helpful at all times and was always there when I/we needed advice or guidance. I would like to pass on my gratitude to him for his patience and tolerance, for dealing with what I would class as a 'challenging customer' with patience and a sense of humour. I would like to take this opportunity to thank Mr Philip Cannon, for his assistance on selling my sons house. He was always very helpful and polite, and I am delighted with the service he provided. Just a note to say thank you so much Sarah for making the marketing and selling process really easy as it is quite stressful living so far from my actual property. I really appreciate your great communication and friendly nature. Fingers crossed the next step is just as smooth! I can't believe it.....SOLD.. How easy was that!!!! Thanks so much to Philip for the attention he has shown us regarding our sale. MOV8 are a very professional, skilled team that know their job. The team, from start to finish, have shown that they are dedicated to providing a great service. They are very customer focused. Woohooo! SOLD! MOV8 know how to move it. Thanks again guys! I just wanted to say thank you for your help through the process of successfully selling my flat. Selling within 8 weeks was fantastic! Selling's a process neither of us have been through before so your guidance was very much appreciated! We even managed to make it a bit unique for you by receiving 3 offers exactly the same! Smooth, efficient and speedy. I have had prompt responses to any queries both via email and phone. Anything I've asked for has been completed quickly and I've always been able to get in touch. All in all, very happy. Thanks! From the start I found MOV8 very efficient, quick and fine in every respect. The quality of photography, the schedule and everything else you had to deal with was first class and I would certainly advise anyone selling a property to use MOV8. Thank you for everything! I was very satisfied with MOV8 and delighted that within six weeks or so, from photos being taken, the property was sold at a great price and handed over to the new owners! I am a bit of a control freak, as I told Louisa at the beginning, having been a Sales & Marketing Director for a new homes developer, so I expected great service and feedback throughout - and that is what I got! It was lovely meeting and working with Louisa, and I would certainly have no reservation in recommending MOV8 to anyone looking for a proactive and competent estate agent in the future! I would like to thank MOV8 for their friendly and polite dealings on the telephone. This was my first time selling property and I can't believe how easy the team made it appear. I would also like to thank Philip who was always cheerful and pleasant on the phone, I felt at total ease and any questions I had regarding the sale of my flat and how to go about purchasing a property he explained fully. I will highly recommend MOV8 and can't believe my flat sold within one day....all my family and friends have been amazed! Thank you and I will definitely be in contact when I see a property I wish to purchase! Steph was superb - a professional person with a positive, can-do attitude. We knew we were in safe hands with MOV8 from the very beginning and Steph is proof of that. They say that selling your home is very stressful, MOV8 managed to sell it in two weeks - no stress! We simply say to everyone "use MOV8" ( including the builder of our new home)! We can't thank sSteph and the whole MOV8 team enough we are deeply indebted to you all! We have recently been dealing with MOV8 with a view to selling our flat. 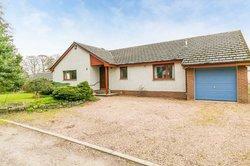 Fortunately we were able to get an offer very quickly, even before it was fully on the market! We found every one of the MOV8 staff, from the beginning of the process, were most helpful and knowledgeable. The person we have had most dealings with to date is Sarah McQueen who has been extremely helpful, efficient and did what we requested without any problems. I just wanted to say how impressed we were with Sarah. She was really efficient and we were confident in the advice she gave us. It was refreshing to have our queries responded to. Sarah clearly knew her trade very well and treated any query we had promptly. She was friendly yet professional and I would recommend her as a negotiator to any friend! Please pass on my thanks to Thomas and the rest of the team for all the help and advice they have given to me in respect of selling our home. Everything has went smoothly and I will certainly be recommending MOV8 to my family and friends when they come to sell their properties! Excellent service from start to finish. Property sale process was professionally handled for a very reasonable fee. MOV8 were 30% of the cost of my Edinburgh solicitor and the service was just as personal. The property was sold within 10 days of going on the market and completed on time and on budget. I made a higher price gain than an identical property sold 2 months earlier - and we gained a premium over this price. I would use MOV8 again for any Edinburgh based property. I just wanted to say thank you for all your help throughout the selling process. I’ve found Sarah a pleasure to deal with, she was always quick to respond to my questions and kept me up to date at all times. Thanks, David. What a stress free and smooth experience. Sarah was there throughout the process allowing us to sell our house for the full asking price and all within a few weeks, thanks! 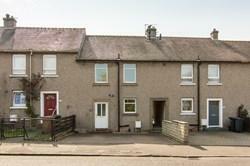 Unbelievable value for money in this crowded estate agency market. Well done Mov8. I cannot recommend MOV8 too highly. Their work was professional and their attention to detail was notable. All the staff were helpful and continually available to help, provide useful advice and reassure the buyer. We have been very impressed with the fast, efficient and professional service provided by Mov8. They were readily available at all times to answer our questions and dealt with the marketing of our property and ultimate sale in an incredibly speedy and efficient manner. I would highly recommend their services and would have no hesitation in using them again. Well done Mov8 - what a great company. From the outset the staff were friendly and approachable and certainly know their business. I felt completely confident in them as they kept me informed with every new development. A very professional group of people and I would recommend them to anyone looking to sell or buy a property. We had a really great experience using Mov8 to sell our property. From start to finish the team were efficient, kept us informed, offered advice and support and helped us sell our property in 8 days! To say I am delighted with the result and the service received, would be an understatement. I have had the best possible outcome based on the valuation. As I live in the property above, the new prospective owners were exactly what I would hope for, as I dreaded it becoming another rental property. I feel this is solely due to the way it was marketed. I am planning on selling my own home next Spring and buying a new home, so will not hesitate to contact you to handle this for me at that time. Many thanks for what has been an extremely quick, smooth and hassle free association. From the initial contact right through to the completion of our sale Mov8 were professional and timely, providing us with the assurance we needed as we had not changed house for 30 years. All of the Team from reception to designated contacts, including the photographer and surveyor for the Home Report, worked with us to get the necessary documentation and promotional material in place to enable us to achieve an exceptionally quick sale...Please thank all of the team involved in our sale. House sold in 2.5 days. Staff very helpful. I had to work off my phone as my computer had crashed and it was no problem dealing with MOV8. The conveyancers used are based in Glasgow but again absolutely no problem. Only one moan and that is when i was put on hold (not for very long) the music was terrible, LOL! I would recommend MOV8 to anyone. Many thanks to all staff. Thank you for dealing with our recent house sale, which sold in less than a week. We were very happy with the professional manner and courtesy of all concerned at MOV8 and would gladly use you again. MOV8 helped me to get my property on the market and sold quickly. Friendly Professional staff and great value for money. I found the Mov8 team really great to deal with. There was a really quick turnaround time to get my property marketed and the team was helpful, able to work around my busy schedule, efficient at dealing with my queries and were enthusiastic and encouraging about getting my property sold. I'm really happy I chose them! The MOV8 team have been great, from the initial point of valuation right through to finalising the sale of my property, the team have been on hand to answer any queries and have made the entire process seem seamless. I would highly recommend them to friends and family looking to sell their properties. Like to thank all the brilliant staff at Mov8, Leith who helped me in the offer received today for my property. After 9 weeks on market I accepted a full price offer. More than that they met my expectations- I'm glad I went with them, the best value for money of all estate agents I enquired with. Well done again from a very happy customer. 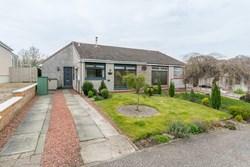 I recently sold a property in Edinburgh and after a month on the market, it went to a closing date. The initial valuation was very clear, to the point and informative and the photos were brilliant. The marketing process was very seamless and I was kept up to date throughout. The schedule was very high quality and impressive and once marketed, its very helpful that all viewers are asked their current position - useful to know when selling! I mostly dealt with Jenna, Kerri and Susan and they were all great to deal with. I have already recommended MOV8 to friends and family and my brother is currently in the process of marketing his own flat. Thank you to MOV8. Put house on market 01/07/13, Sold and had moved out by 23/08/13. Service was excellent... Total price for service was much more reasonable than most competitors in Edinburgh. Would definitely recommend and use again.